Face dangerous new threats as a fifth virus spreads across the globe and Hot Zones make their entrance, changing the rules... for the worse! Fortunately, new medical experts have joined the fight to help you. 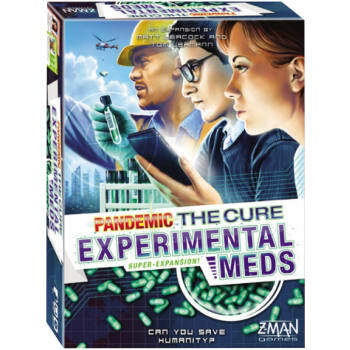 Experimental Meds is a healthy dose of expansion contents to Pandemic: The Cure.